in a safe, beautiful environment by qualified teachers! thus strengthening the body and mind and increasing your consciousness and clarity in all life's relationships. Can you make it a week on the mat? Challenge yourself. Do yoga everyday for a week and feel the change. Read more. Trial class. Want to know more before you start? 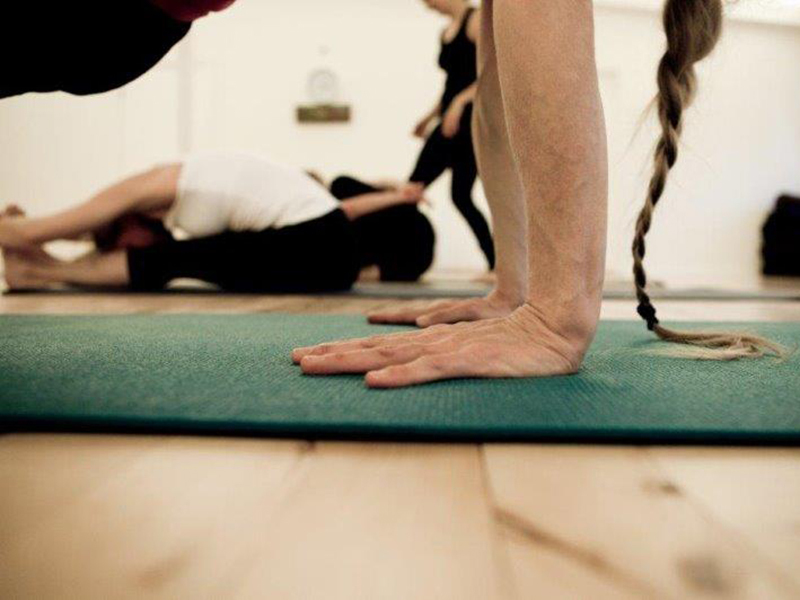 We invite you to join our introductory class in Astanga Yoga. See our schedule for upcoming dates. Learn yoga, one breath at a time! 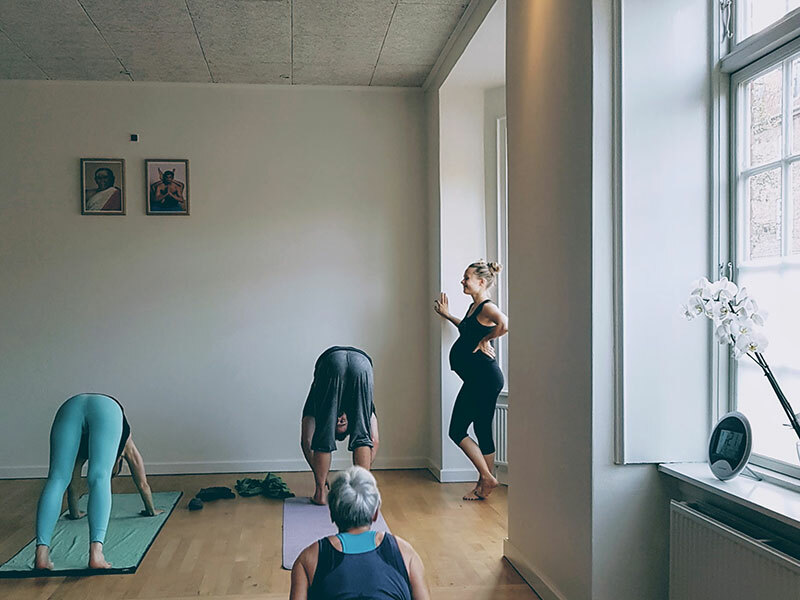 The Astanga Yoga Studio offers a warm and personal yoga studio with unique one-on-one teaching. A place to practie and learn the traditional Astanga Yoga as tought by KPJAYI Shri K Pattabhi Jois Ashtanga Yoga Institute in Mysore India. It's easy to get started and everyone can learn it - regardless of age and shape. Just show up and we'll help you with the rest. The practice of Astanga gives physical and mental harmony, well-being and inner peace by building a stable, flexible and calm body and mind. Interested? Then join now. Want to know more, we recommend our introductory class, or introductory week. Astanga yoga is learned step by step, one thing at a time. No prior knowledge or experience is required, only desire and willingness to learn. You can come just as you are, and gradually the Astanga practice will strengthen and open your body in a safe and healthy way. Whether you are new or experienced, we teach you one thing and one pose at a time and adapt the teaching to where you are. In yoga, you dont have to keep up with anyone but yourself. 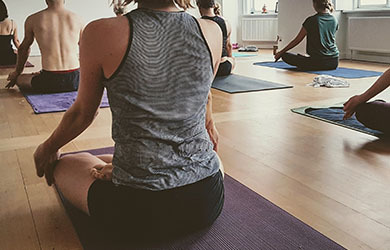 The Astanga method is a complete yoga system focusing on dynamic execution of series of yoga poses linked together by deep resonant breathing. 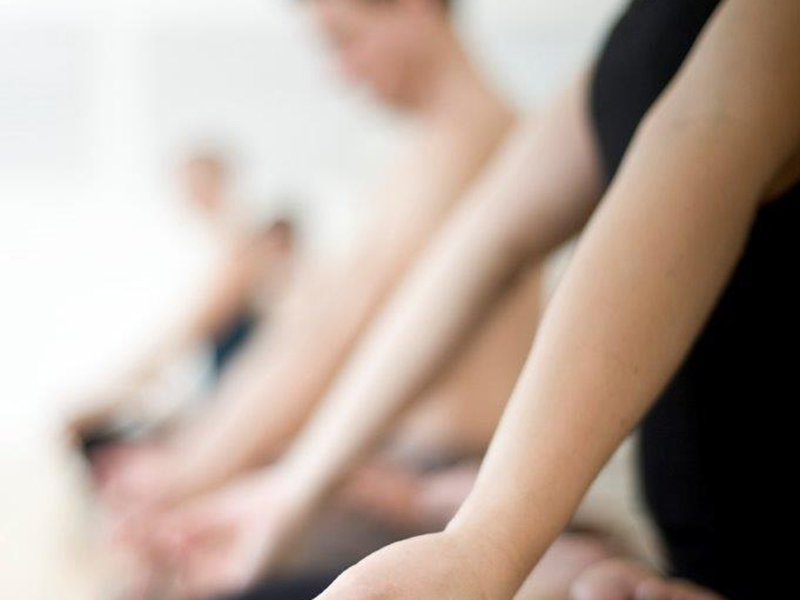 The practice makes you calm, healthy and stable and creates balance between body, mind and spirit. We offer a high standard and quality of teaching in a healthy, safe and reasonable way. 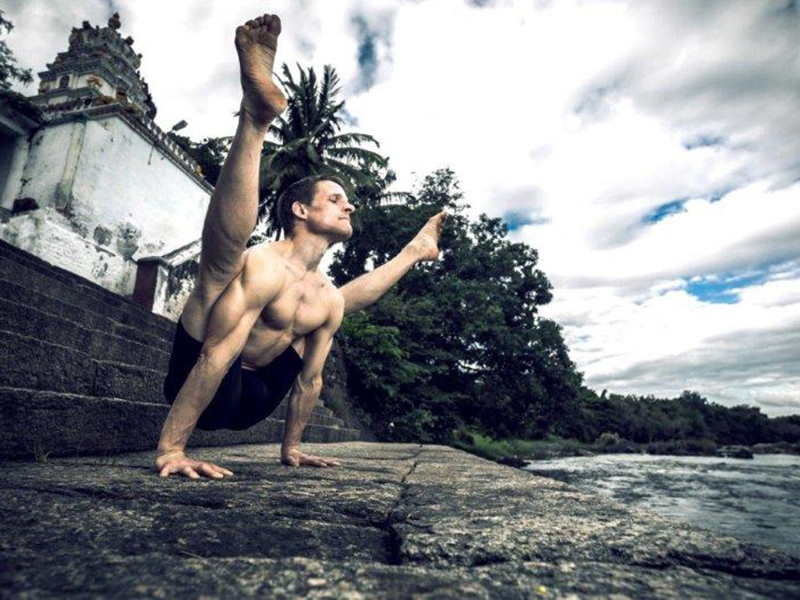 The studio is led by KPJAYI authorized astanga yoga teacher Eskil Schilling, who has many years of experience in practice and teaching. 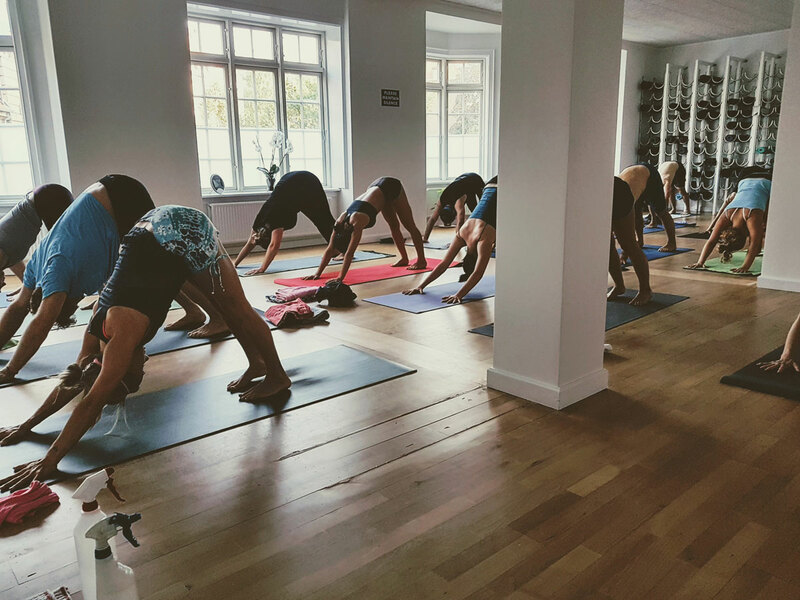 In the Mysore class you are taught individually and you learn the Astanga method, step by step, one step at a time. In Led class, focus, rhythm and linkage of movement and breath (vinyasa) are practiced. Traditional guided flow class. 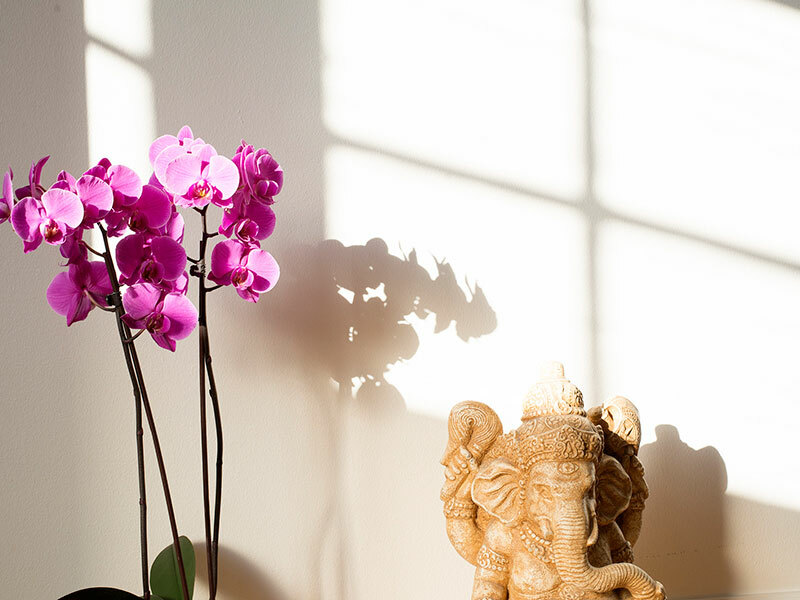 The Studio is an elegant oasis in the city. A place where you can find peace and space to breathe and find yourself. 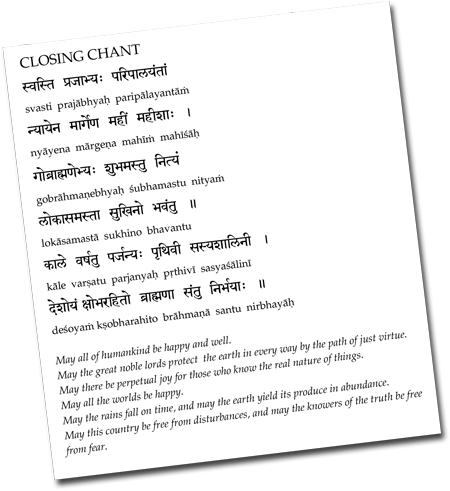 Learn the names of the poses, counting the vinyasas and chanting in Sanskrit. Talk about yoga philosophy, practices and lifestyle. 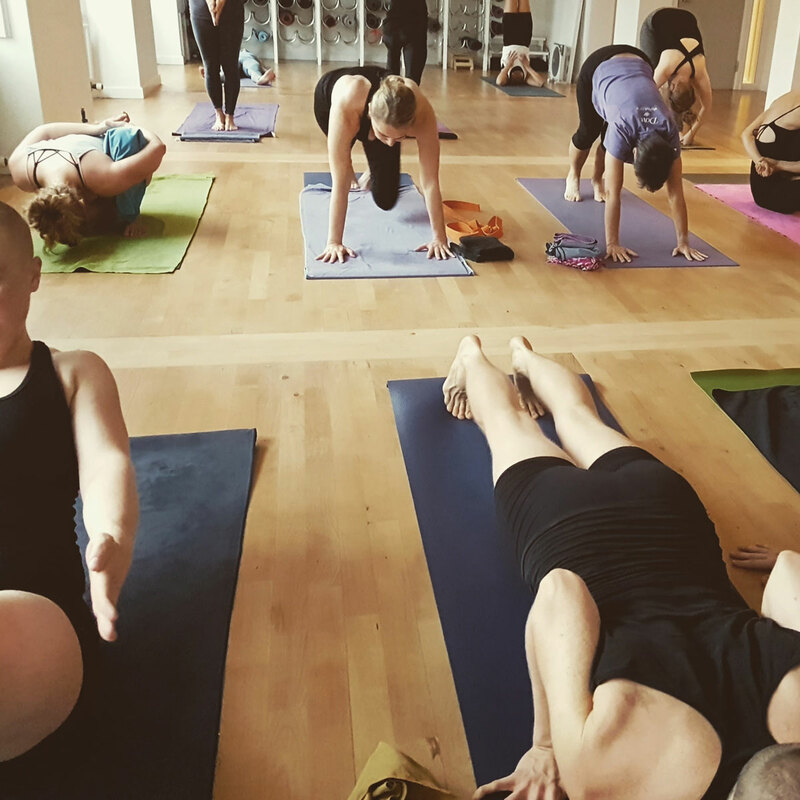 Ashtanga Yoga Weekend Intensive with Tim Feldmann. 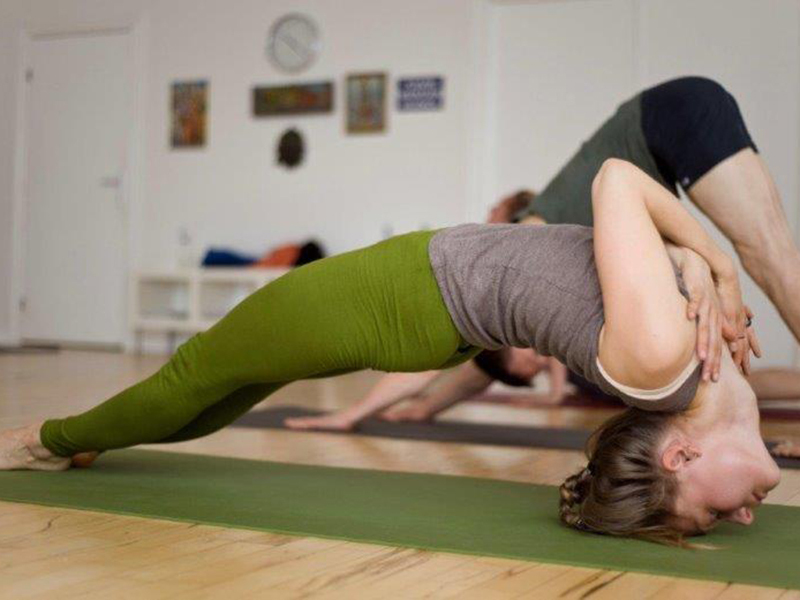 Traditional yoga with unique Mysore style one-on-one teaching! 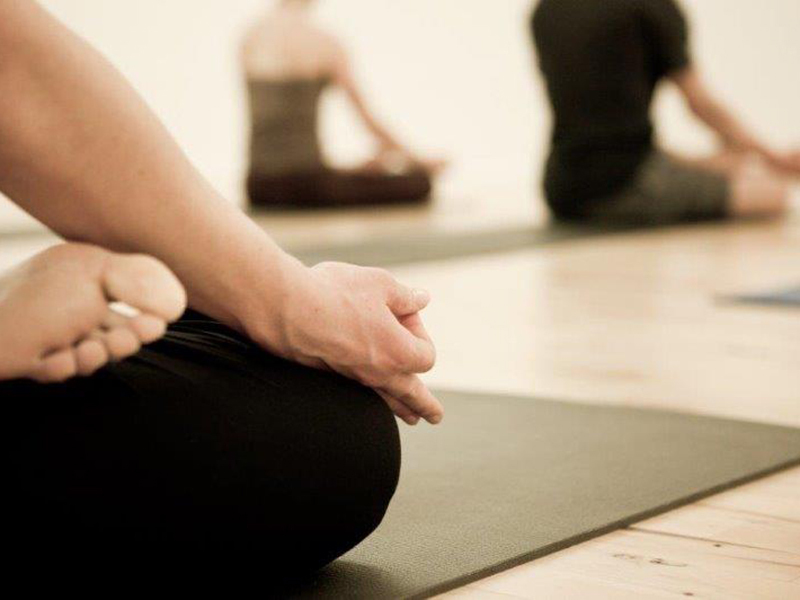 New to yoga Step onto the mat & Start with inhale! Astanga Yoga starts with focus on very simple effective movements that are coordinated with deep breathing. Each breath connects the different poses (asanas) with each other. So you breathe your way from one pose to another. You then repeat the sequence until its memorized. By working this way, you learn one section at a time and are able to make progress at a pace that is appropriate for you. Learn to practice yoga one breath at a time! Yoga practice is for life. Daily practice keeps the body healthy and gives you mental peace and increased focus, and helps you live more naturally and in accordance with your own nature. 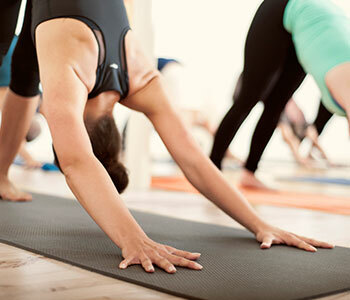 We are there to facilitate and assist you with your yoga practice. We help you to remember order of the poses, help you with new poses and help with poses that are challenging for you at the moment. Teaching timesSchedule valid from February 5th. Thursday, May 2th at 18.00. Coming Moondays - no classes, take rest! Please note! All new students please start on Intro class or Intro week. For people who can’t make the regular intro classes, we offer private Intro classes as well. For booking and more, check our webshop for your options (descriptions in English as well). You can attend Mysore anytime within the class times and you do not need to register in advance. You can only attend Mysore Beginner by appointment. There is no teaching on moondays , ie. when it's full moon and new moon, see calendar with upcoming moondays here . Follow us at Facebook , we announce class changes, workshops and events there. Also check out the event page with upcoming workshops, lectures, and speciel events in the studio. This is the traditional method for learning and practicing Astanga Yoga. Students practice independently a set series of postures at their own pace, under the guidance of a qualified teacher. 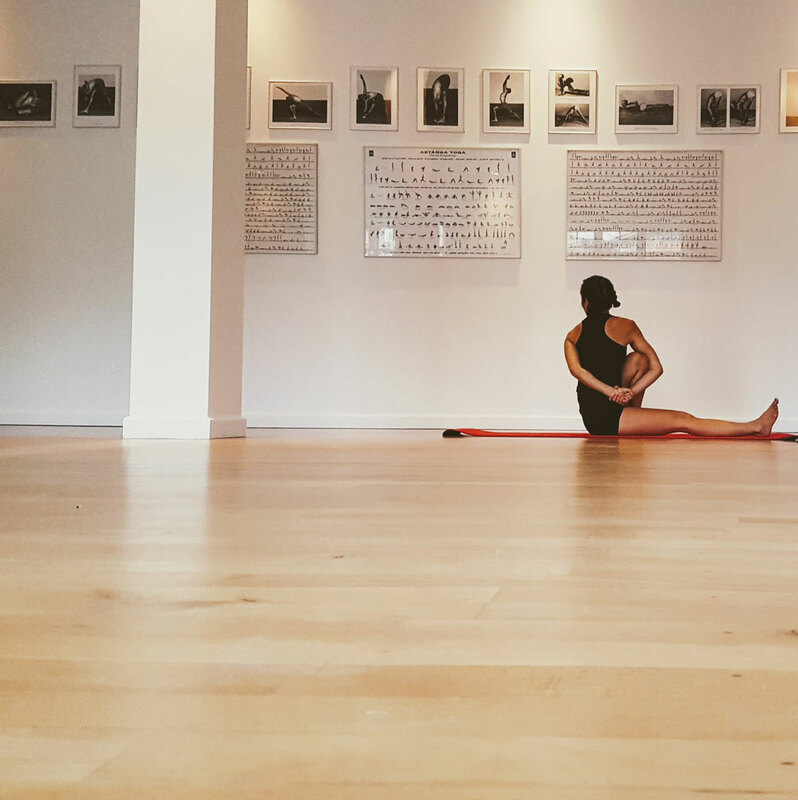 In the Mysore class the Astanga method and poses are taught to the individual student with one-to-one instruction. The correct movements, breathing, and other aspects of the method are thus gradually learned, in a step-by-step process accessible to all. 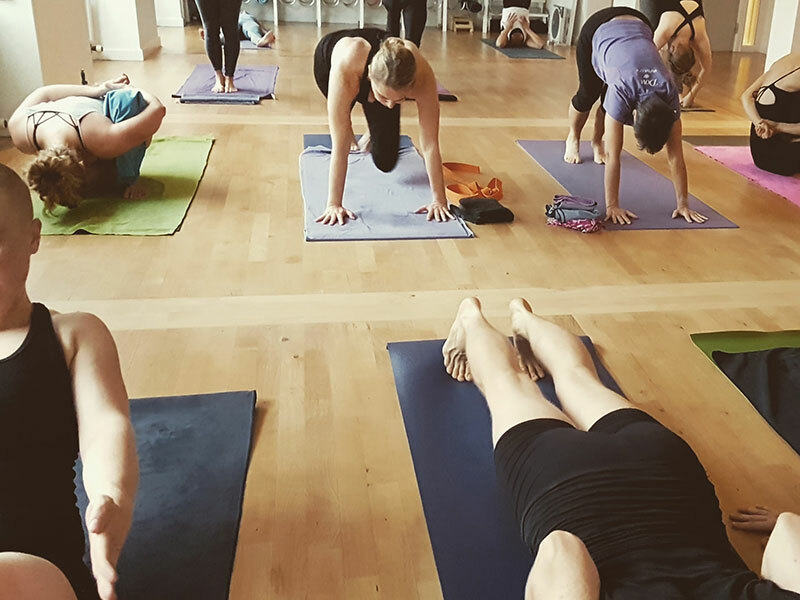 This unique method allows practitioners to move slowly forward when their body and mind is ready as opposed to "keeping pace" with a large group, as in a guided class. 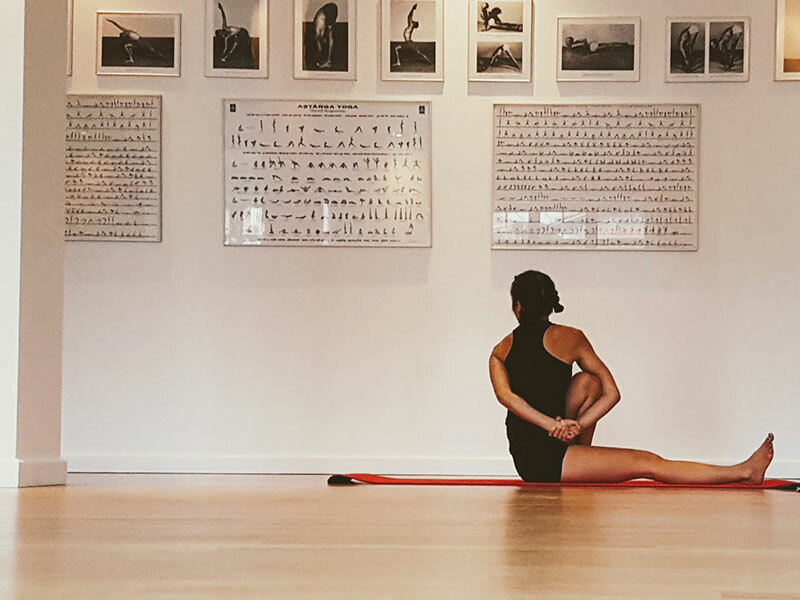 This gives both beginners and more experienced practitioners a forum where they can learn poses from basic to more complexed with the one-on-one guidance needed to perform them safely and accurately. 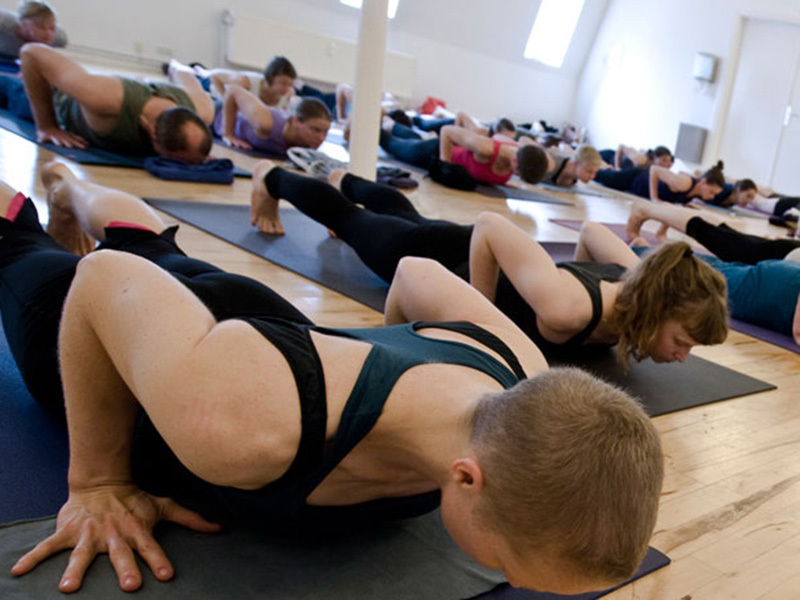 Mysore classes are therefore very suitable for all levels from absolute beginners to experienced practitioners. There are no prerequisites, except for the desire and the will to learn. 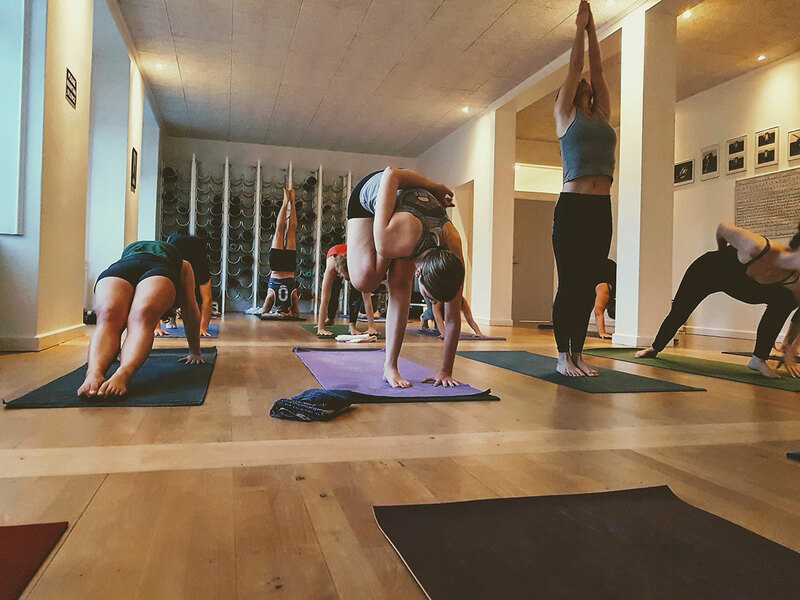 Practicing in the Mysore classes is the natural way to learn yoga. A beginner can expect that their first class is about 30 to 40 minutes. The practice time will gradually increase as new poses are learned, up to about 90 minutes. The Mysore method is named after the city of India where Sri K. Pattabhi Jois, the guru of Astanga Yoga, lived and taught at KPJAYI. Every year thousands of students go to Mysore in India to be taught according to the traditional method of his grandson Sri Sharath Jois and daughter Saraswati Jois. At Mysore beginner’s school is the first steps into Mysore classes. 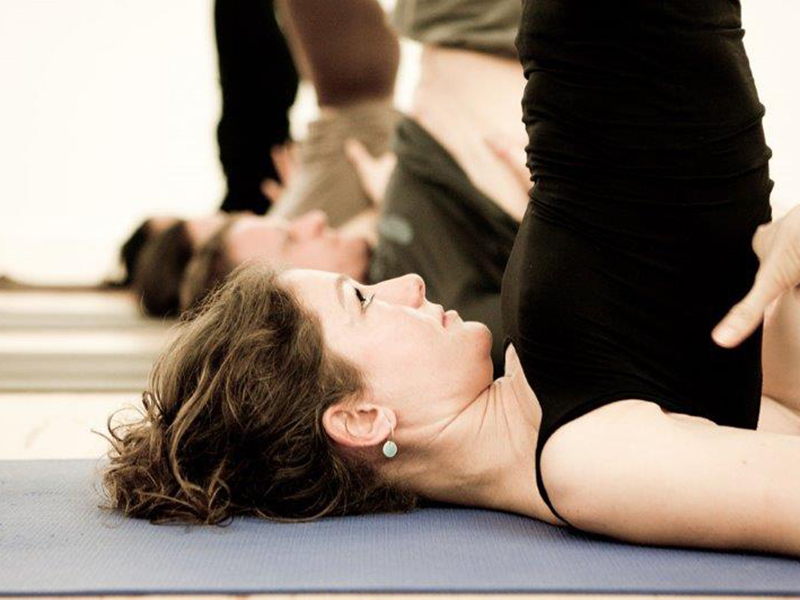 Beginners are taught with other practitioners at different levels in our common Mysore classes. The poses are taught to the individual student with one-to-one instruction. The correct movements, breathing, and other aspects of the method are thus gradually learned, in a step-by-step process accessible to all. This unique method allows beginners to move slowly forward when their body and mind is ready as opposed to "keeping pace" with a large group, as in a guided class. 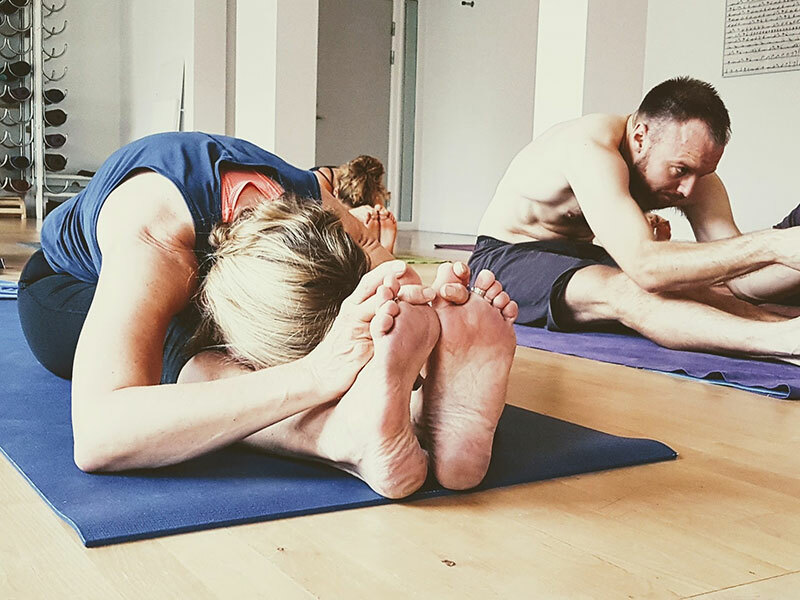 This gives both beginners and more experienced practitioners a forum where they can learn poses from basic to more complexed with the one-on-one guidance needed to perform them safely and accurately. It is only possible to attend Mysore beginner’s school by appointment. You go to Mysore beginner’s school until you remember Sun Salutation A and B and the sequence of the standing poses - fairly ☺, then you participate in the regular Mysore classes. In this class we count through all the poses from primary series. It is part of the official teaching methods to practice correct vinyasa (breathing movement) and flow, and this is done in the led class. Everyone is welcome to Led Primary class, even if you are beginner and haven’t learned so many poses. You stop when you reach the last pose you have learnt in the Mysore class (sometimes you even get new poses ☺). Begind your yoga practice here! All new students are kindly requested to start their training at the Intro class. Here you get brief explanation of the Astanga yoga method. 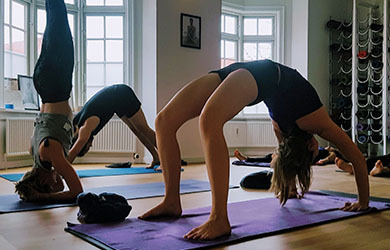 We will explain the concepts of yoga, awareness, attention, focus, stability and relaxation, and how it is built into traditional Astanga yoga practice. Then we go through the basic techniques of breath, body locks, and focus points and of course the first yoga poses. 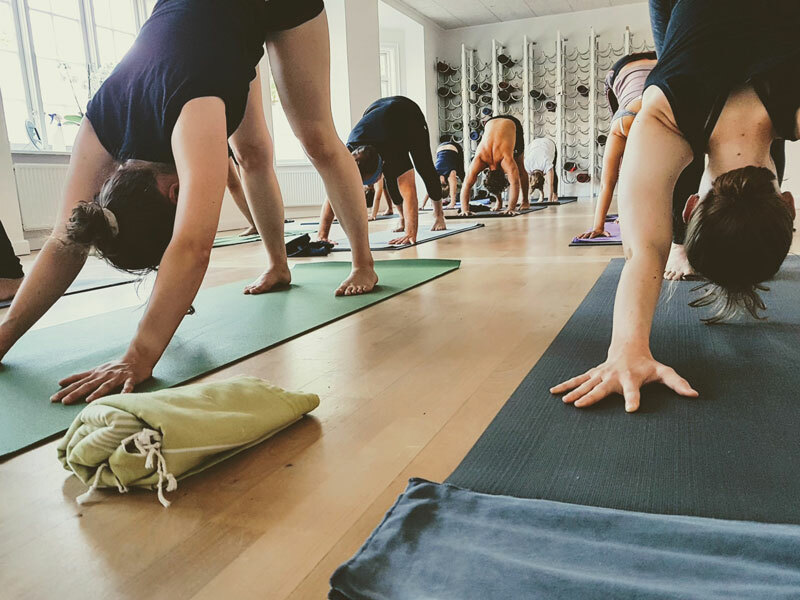 Slowly, you will be led through the first series of movements - Sun Salutation A, and get advice on how to get in and out of the poses, how to keep the balance and how to use your body most appropriately. At the Intro Class there is time to give explanations and answering questions. You get an idea of what Astanga Yoga practice is and how to do it. 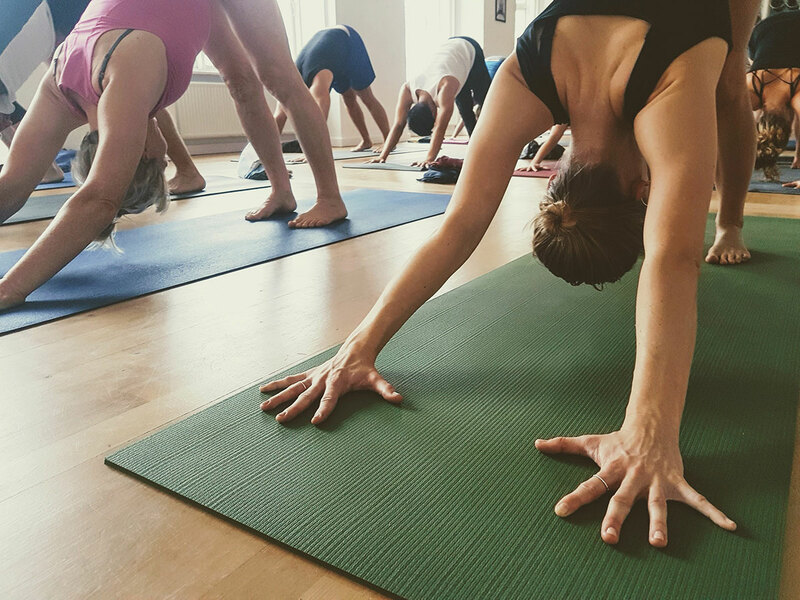 You can continue your training at Mysore beginner’s school or if you already have experience with Astanga, on our regular Mysore classes. You can see dates for upcoming Intro classes here and please remember to sign up for the class in our webshop here. 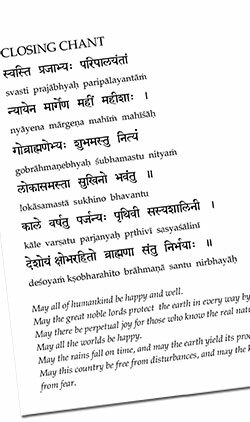 We teach and practice the names of the poses in Sanskrit, counting the vinyasas in Sanskrit and to chant (recite, sing) different traditional and popular Sanskrit mantras. We also teach about different subjects and aspects of yoga e.g. philosophy, practices, lifestyle, diet, rituals and traditions. 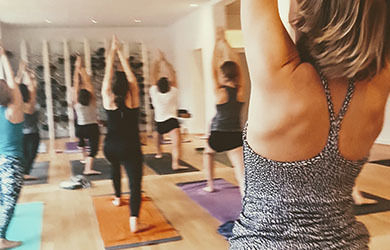 Astanga Yoga Studio is a dedicated Astanga Shala. 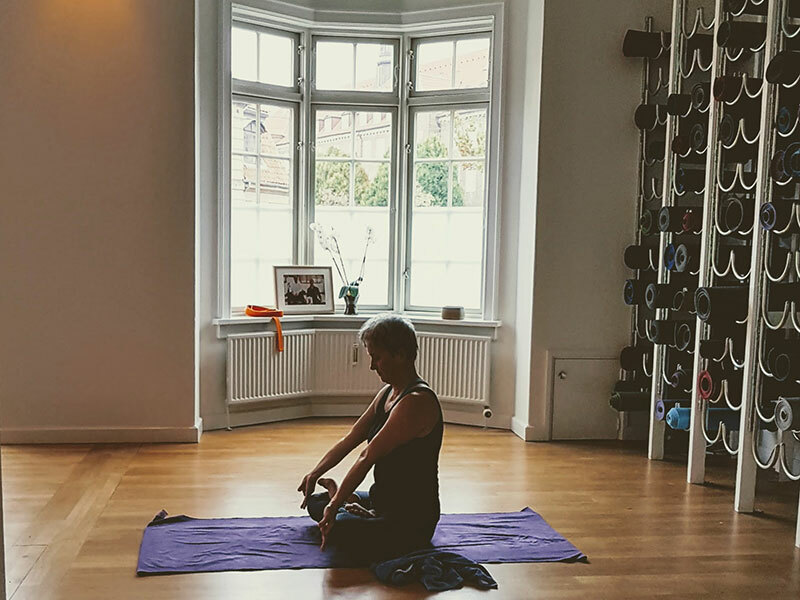 We understand the needs of practitioners to have a quiet, peaceful, clean and comfortable place where they can practice their Astanga practice in undisturbed peace. 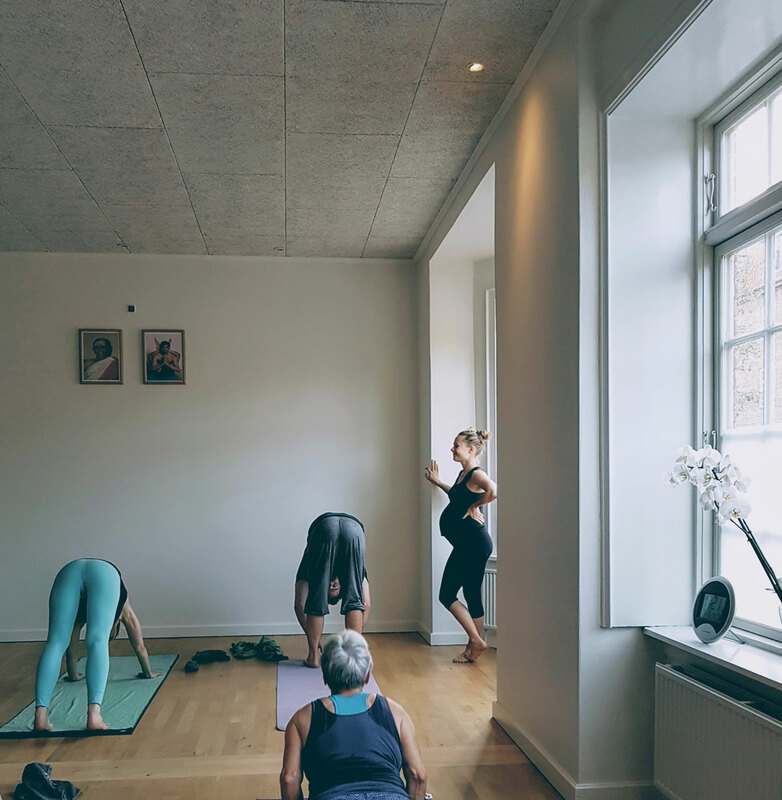 To support this, the studio is open to members' self-practice for most of the day so that you can practice your Astanga routine outside the ordinary teaching schedule. Thus, one can also meet in time before and stay and finish in the post-hours, and thus find their practice for a busy day with family, work or study. 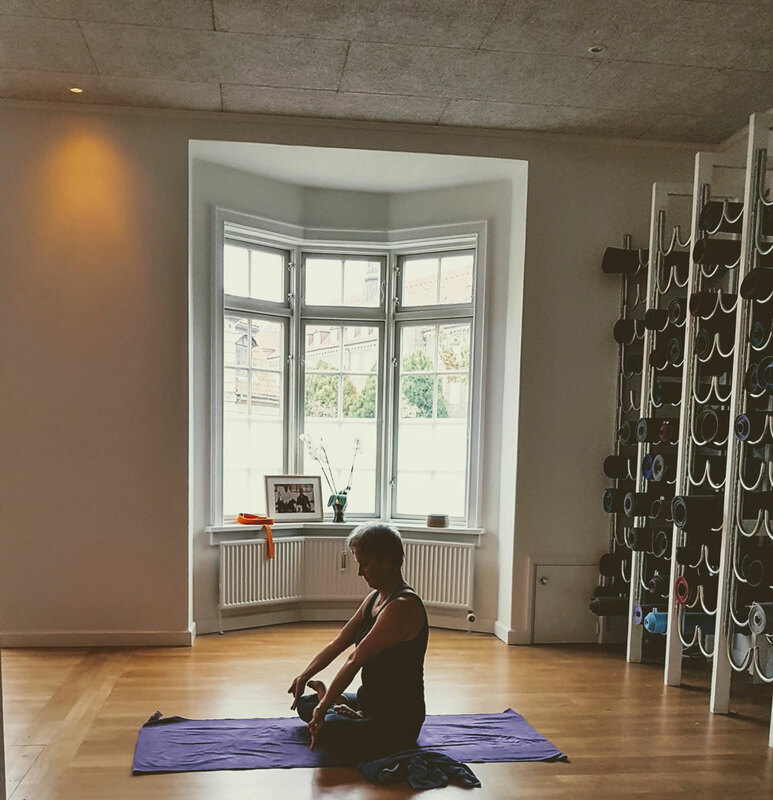 There will be no teacher present, but the study is available and the space's energy will be there to support the practice, your focus and presence. Note that Open Space users are responsible for proper ventilation, cleaning, heat control and locking of the studio. You must therefore have received and correctly understood the instructions in these procedures and acknowledged the responsibility before the studio can be used for Open Space. Cannot be used for other activities! Prices Membership are purchased online. The most convenient membership is our monthly subscription. Please notice! In order to limit administration and to keep costs low, all actions regarding membership such as sign-up to membership, changes hereto and termination is done by the member. Please carefully review the possibilities and conditions for each of our memberships and choose accordantly before signing up. No refund, changes or early termination is offered, save for what is explicitly stated in the terms and conditions for each category of the membership. 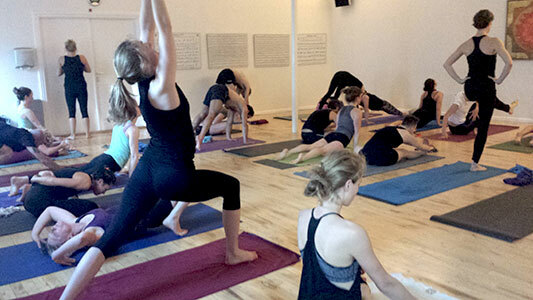 All membership types gives free access to all regular Ashtanga Yoga classes and Open Space. Termination of subscription memberships is done by the member on their member profile . Members will receive a login when signing up. Note! It not possible to terminate a subscription membership by sending an email, calling or sending a message. Period of notice for subscription memberships is the current month plus one month. The first 3 months subscription memberships cannot be terminated (vesting period). Subscription memberships can be put on hold (paused) 4 times yearly, for a minimum of 2 weeks and a maximum of 4 weeks at a time. It costs DKK 125 to pause the membership and you setup the hold yourself on your member profile. Cannot be put on hold during the vesting period. Clip cards..Clip cards are valid 4 months and cannot be shared, refunded or extended. (10 Classes DKK 1000 eller 5 Classes DKK 600). We offer the following Student discount . Subscription membership DKK 495 per month or 3 months prepaid DKK 1595. Prices are for low income students only. Proof must be sent to kontor@astangastudio.dk within 14 days of membership creation or it will be changed to a normal equivalent membership from the date it was created and the difference in price will be charged.